Sulphates help improve the absorption of nutrients, flush toxins and help ease migraine headaches. 100% Pure Magnesium Chloride Flakes. 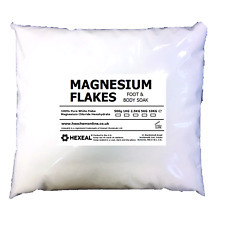 - Magnesium Chloride Flakes. From the unique waters of the Dead Sea. Each litre of Dead Sea water contains 170 grams of Magnesium Chloride. Vast solar energy pans evaporate these brines to 33% concentration. 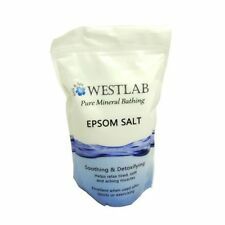 High levels of Bromine, Magnesium, Sodium, Calcium and Potassium are attributed to the rejuvenating properties of Dead Sea Salt and bathing in Dead Sea Salt decreases stress levels, soothes muscles and joints, stimulates natural circulation, softens skin and relieves tension. Himalayan salt contains over 80 minerals, including Magnesium, Potassium and Calcium, which are essential to human life. Anti allergens that protect the skin from rashes caused by allergies. Penetrates skin for a soothing effect on the nervous system. A few of these minerals include: sodium chloride, sulphate, calcium, potassium and magnesium. When using this salt, you are actually getting less sodium intake per serving than regular table salt because it is less refined and the pieces are larger. Suitable for Food Use. In Stock & Ready For Dispatch. 2,300 feet below sea level, in the lowest place on earth, is the Dead Sea. The Dead Sea contains a high concentration of minerals that have seeped from the surrounding rocks and soil and been carried by springs to the Dead Sea, which has no outlet. Himalayan salt contains over 80 minerals, including Magnesium, Potassium and Calcium, which are essential to human life. Potassium Content. Bestandteile: Basisches Salz, Milchpulver, Zucker, Neutralöl, Mandelöl, Kokosöl, Ylang Ylang Öl, Rosenöl. Badesalz mit exklusivem Duft! Ein wunderbares Badesalz für samtweiche Haut mit basischem Salz und Milchproteinen. Aside from these benefits, Magnesium sulphate has several other positive effects to note. Tomatoes, for instance, need lots of Magnesium to grow to their full potential. The magnesium ions break apart from the Salt molecules and begin to relieve stress by promoting the production of serotonin and reducing the effects of adrenaline. 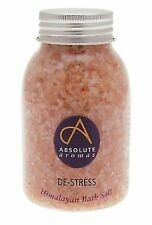 2 X RADOX MUSCLE RELAX BATH SALTS. SURRENDER TO A WARM SOAK WITH OUR MINERAL SEA SALTS TO SOOTHE YOUR TIRED MUSCLES. PEPPERMINT SCENT. WITH 100% PURE SEA SALTS. Ideal for Transdermal Magnesium Therapy. Magnesium Chloride Flakes (47%). 1kg Magnesium sulphate EPSOM SALT food grade 100% GMO Free.MADE IN GERMANY! Always check, the place of origin and the manufacturers certification. We do have all the certificate including halal certification COA (certificate of analysis) and MSDS (material safety data sheet). Stress drains the body of magnesium and increases levels of adrenaline. Magnesium ions also help you relax and reduce irritability by lowering the effects of adrenaline. They create a relaxed feeling, improve sleep and concentration, and help muscles and nerves to function properly. 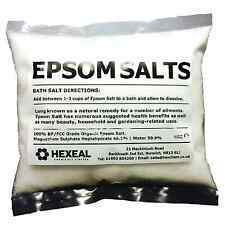 2 X RADOX MUSCLE SOAK BATH THERAPY THE ORIGINAL HERBAL BATH SALTS. Eine Geschenkbox gefüllt mit. einer edlen Seidenseife mit Rosenduft 80 Gramm. Rosen mal anders . 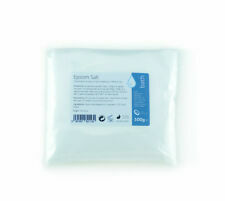 Magnesium sulphate is readily absorbed through the skin detoxifying and soothing aches and sprains. Its an ideal body scrub smoothing and healing the skin. A versatile natural cure for all salts. Himalayan salt is widely touted for its mineral content, containing 84 minerals in total. In addition to sodium, Himalayan salt is relatively high in iron, magnesium, phosphorus, calcium, potassium and chloride. 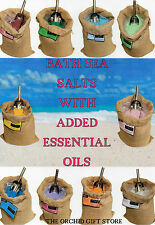 Detox Seaweed & Mineral triple blend Bath Salts contain Organic oils and natural seaweed to detox and cleanse your body. 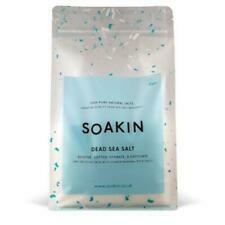 DETOX SEAWEED & MINERAL BATH SALTS. Pour a generous helping into a running bath and allow to dissolve. Tomatoes, for instance, need lots of Magnesium to grow to their full potential. Aside from these benefits, Magnesium sulphate has several other positive effects to note. The magnesium ions break apart from the Salt molecules and begin to relieve stress by promoting the production of serotonin and reducing the effects of adrenaline. 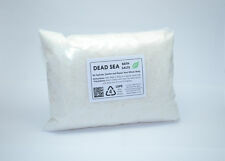 Seaweed, Bath Tea Bag Containing Dead Sea Salts. For a Detox Bath Full of Goodness. 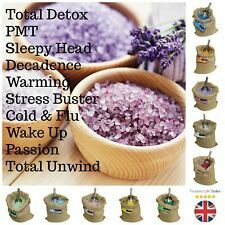 Contain Dead Sea Salts and the Finest Therapeutic Grade Essential Oils. Aleppo Soap. Marseille Soap. Price £8.95. Our Himalayan Pink Salt Contains 84 trace minerals vital for well-being and a healthy Lifestyle. Himalayan Pink Salt Food Grade – Coarse. What is Himalayan Pink Salt?. Product Safety. Za liczne funkcje biologiczne siarczanu magnezu odpowiada specyficzna budowa cząsteczki, jak i dwóch wchodzących w jej skład pierwiastków: magnezu i siarki. Badania wykazały, że siarczan magnezu lepiej wchłania się przez skórę niż przewód pokarmowy, co sprawia, że kąpiele w solance. 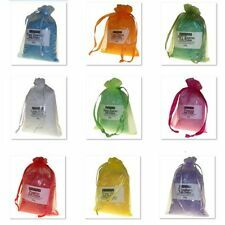 Dr. Teal's 3 LB Epsom Salt Soaking Solution Soothe & Sleep w/Lavender LOT OF 2! Calgon 3 LB Epsom Salt Lavender & Honey LOT OF TWO (2)!